Nearly 4 in 10 executives from middle market firms say lack of talent curbs their ability to grow. Creating solid employee retention strategies is key for middle market companies as they compete to attract and retain employees. But where to start? 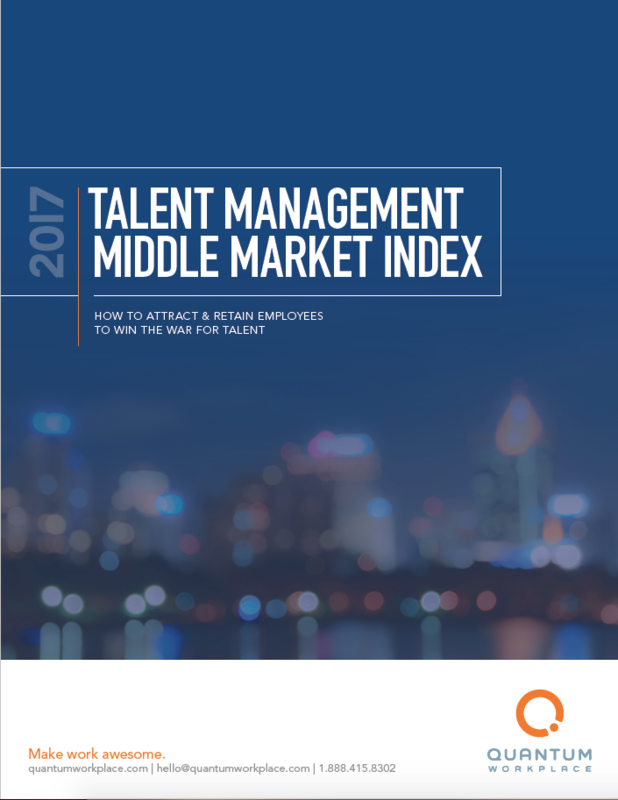 The 2017 Talent Management Middle Market Index examines turnover and engagement statistics among companies with headcounts between 500 and 4,999 employees. The report identifies three key turnover predictors within mid-market companies. How engaged are employees at middle market firms? Are employees more likely to leave middle market companies? What themes should provide the foundation for middle market retention strategies? What role does the manager play in retaining employees? Why is job fit so important?